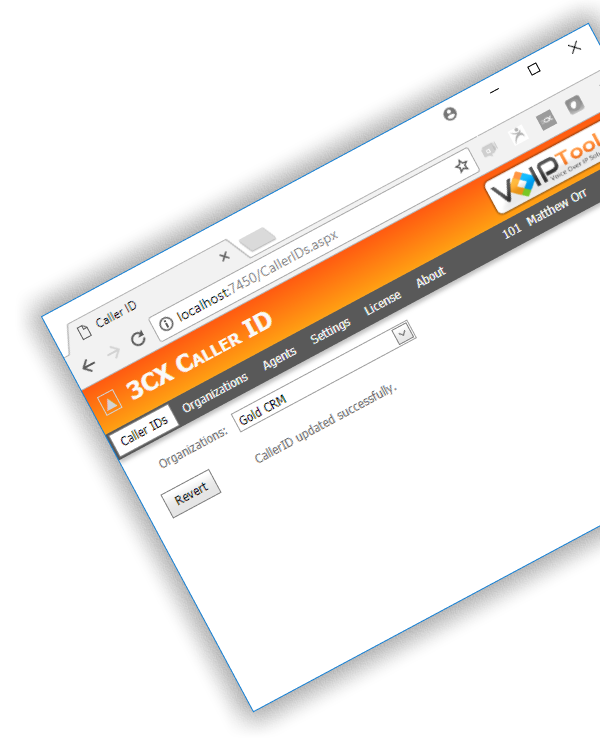 3CX Caller ID temporarily changes your extension’s outbound caller ID number. This add-on makes it simple for your call center agents to select the desired caller ID number, before placing a call. The selected caller ID may represent a specific organization, or geographical region. Regardless of the purpose, you have complete control over your outbound caller ID number. For example, if your call center makes calls in behalf of a specific organization, the agent’s outbound Caller ID will reflect the phone number of the selected organization. Alternatively, if calling customers in a specific geographical region, you can ensure your caller ID matches the region of the customer. We saw requests for this feature over and over on the 3CX forums. Now there is a solution for easily changing your outbound caller ID number. Want to see more options? Let us know! Calling in a specific region today? Set your caller ID, make your calls, and revert back to your default Caller ID. Whether you need to organize your DIDs by customer name, or geographical region, you have complete control of how numbers are presented to your agents. It truly couldn't be easier. Select the number from a combo box and let 3CX Caller ID handle the hard part. Ready to revert back to your original caller ID? Just press Revert. Need to conserve screen space? Hide the header section to make a small interface tiny. Nothing to install. Access from anywhere. Use the device of your choice. You just need a browser. When calling potential customers, ensuring your caller ID is local to the region you are calling results in better answer rates. Are you a call center that calls in behalf of your customers? Now you can make your caller ID display your customer's phone number. Can I use the Linux version of 3CX? Not at this time. It won't be long! It's been tested with Chrome, Firefox, Edge, IE. Will it work with my telecom provider? That depends. Most SIP providers will allow you to set your outbound caller ID by extension. However, some carriers will restrict what numbers you can present to only those numbers you own. You will have to contact your carrier to confirm. There are plenty of 3CX supported SIP trunk carriers that don't restrict your outbound caller ID.